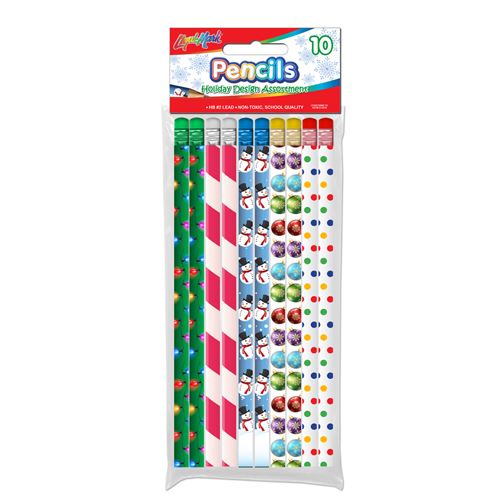 Make writing fun for everyone and get into the holiday spirit with our 10 Pack of Holiday Themed # 2 Fashion Pencils with Eraser! 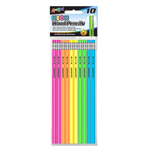 They are made with the highest quality wood and HB lead for consistent darkness of the line and smooth writing. 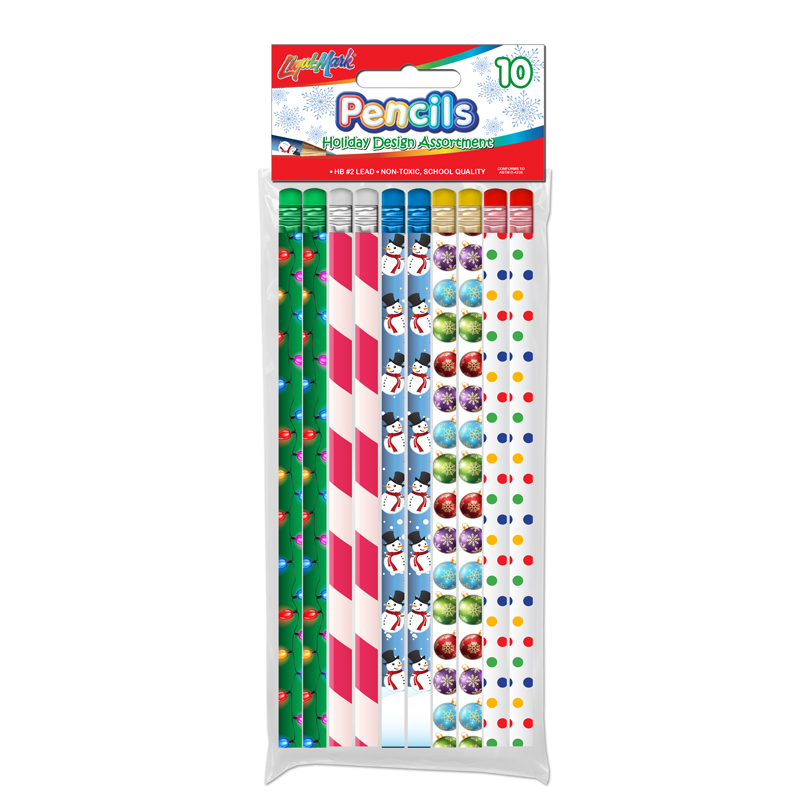 Top quality, latex free eraser provides easy, clean corrections. Great for use in school or at home. No Setup / No Custom Printing Available For This Item. This item is sold in Full Shipping Case Pack Quantities of 72 Packs Per Case Only. Master Carton Dimensions: 12" x 9" x 12"
© 2019 Liqui-Mark. All rights reserved.